Ahh and thus The Selection series comes to an end. I know The Heir is technically apart of the series but it’s a different generation – so I’m not counting it. I was so happy with the way this series ended. Definitely the perfect ending to a series I sped through. It was so good! The reason this earned 4 Stars from me wasn’t because of any character flaws or plot issues or anything related to the writing of the book. What bothered me was how fast it all went. I understand a ton happened in the last few chapters. I won’t say what but if you’re reading this, you know what I mean. A ton happened….and then it was over. There was no room for grief or happiness or acceptance. There was just the end. And that bothered me. I wanted America to really grasp what she had faced the last few chapters and come to terms with it, and I felt like it was very quick to end. I absolutely loved the story, please don’t get me wrong in that aspect. I just felt like she didn’t have enough time to truly grasp everything she was dealt at such a rapid pace. 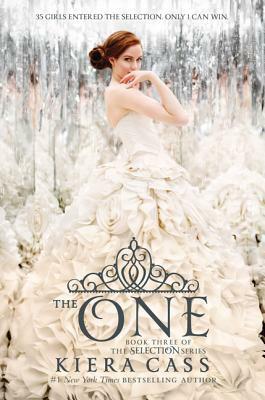 Overall I absolutely LOVED this series and couldn’t have asked for more….except maybe a few chapters to slow down the happily ever after. Yes, yes, and yes. This series was marvelous. I just felt like there were things that could have been tweaked/altered a bit to keep some more consistency but the overall plot was fantastic and I loved it.